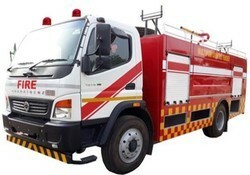 Our range of products include fire fighting vehicle, multipurpose fire tender, emergency response vehicle and fire tender. 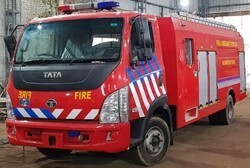 We are service provider of Fabrication of Fire Fighting vehicle which can be fabricated on the Different chassis as per the client requirements and also as per the specification that meets with the standards. we set the main objectives for providing the Fire Fighting vehicle and that are Reliability, Sustainability, Capability of the Fire Fighting Vehicle. It consist of Water, Foam, DCP in the vehicle. It is mounted with the pump of Capacity around 2000 LPM. 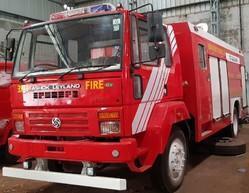 Emergency response vehicle serves for Fire Fighting as well as for the rescue purpose. it generally consost of extinguishing agent with the small gears and other rescue equipments for the Emergency respoense purpose.